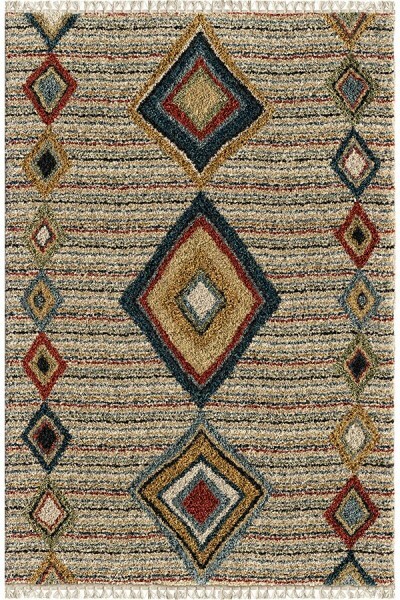 The Bedouin Collection evokes Moroccan tribal motifs in a simple, yet stylish shag. This rug’s fetching design replicates a wool construction but is machine-made with synthetic fibers for long-lasting beauty. Bedouin’s irregular patterns offer an organic feel combined with comforting textures and natural earth tones. 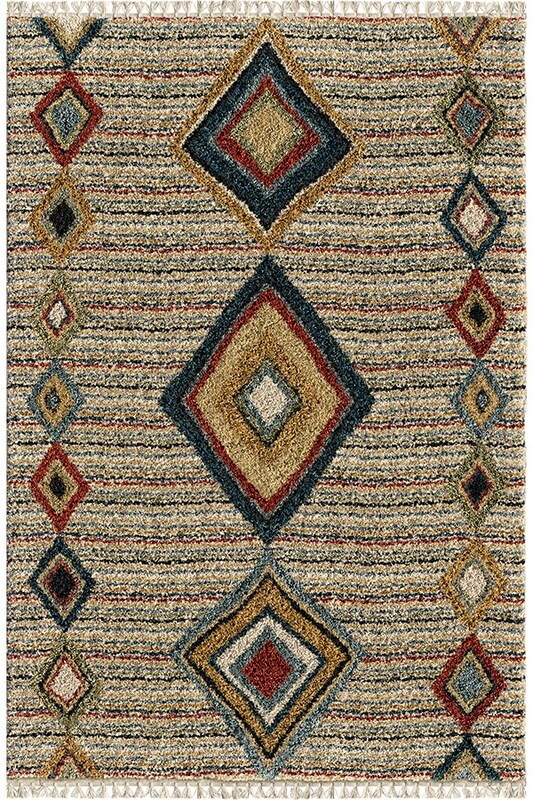 Enjoy the cozy comfort and vibrant,tribal-inspired design element provided by the thick pile of this stunning Moroccan Shag area rug.